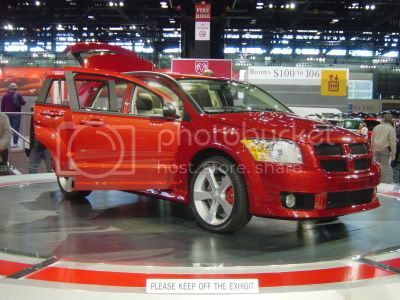 Dodge Caliber The new sporty Dodge Caliber is a hatchback that replaces the Dodge Neon. 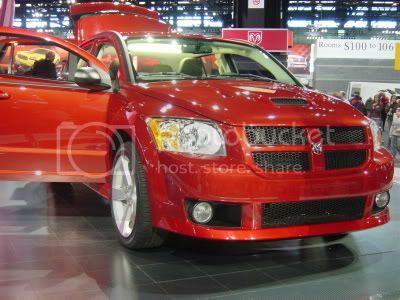 The Dodge Caliber is here to stay! May not be the best....but this is what I took from the Chicago Auto show this weekend. Thansk for sharing your pics! great pictures. did u see a leather r/t in person. is it leather of like inserts and ****. hey all im new and i know a lil photoshop. and i notest that a lot of you would like to see it in blue. Green isn't my color, but that blue is wild!!! !